In recent years I have found myself thinking that the puddings don’t taste as nice as I recall them doing, but other than sometimes using vegetable instead of beef suet I didn’t think I had done anything different, so assumed it was just one of those false memories you have as you get older. HOWEVER, after having cooked them in my pressure cooker for a number of years I didn’t this time, as I didn’t want to tie it up for over 3 hours, so I cooked the puddings in the Aga. I was amazed that the look, taste and texture was completely different – darker, denser and fuller, just as I remembered – the result, I assume, of the much longer and less extreme cooking method. I therefore highly recommend methods (a) or (c). Oh my, you’re bringing back memories! 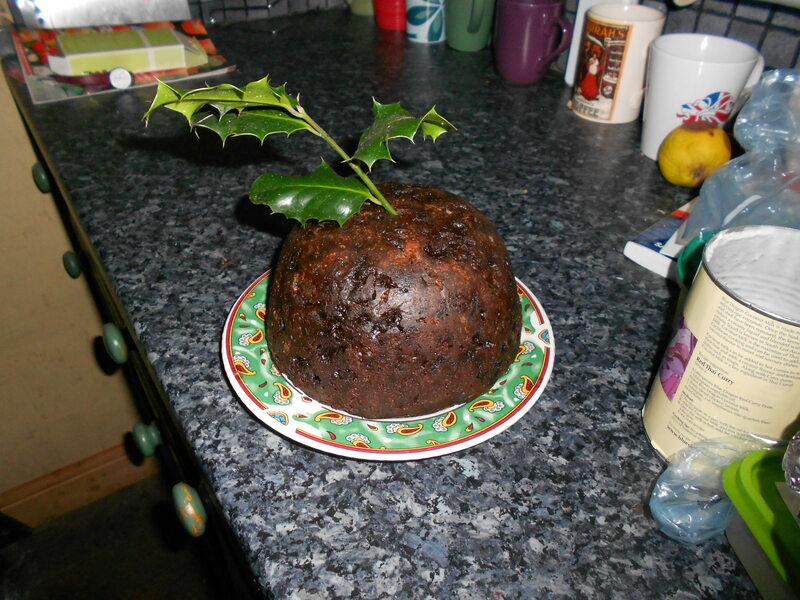 First mincemeat and now steamed pudding, which my grandmother made. Do you make a sugar & butter sauce to put over it? I like brandy butter, which I make with 3oz butter, 4 oz icing sugar, 2 oz ground almonds and 1tbs brandy), blended till smooth then hardened in the fridge.Yummy!